A Minnesota woman once dubbed one of “the worst DUI offenders” in the nation has been sentenced to a year in jail following a guilty plea of second-degree drunk driving. Second-degree drunk driving is only a gross misdemeanor crime, so while it may see odd that she received a year sentence for her charge, when you hear about the case in question, you may find yourself wondering how she got off that easily. According to prosecutors, Tasha Lynn Schleicher, 42, of Rochester, was under the influence of alcohol when she sideswiped a median cable barrier with five of her children in the car. Schleicher reportedly then pulled over along the side of the road to breastfeed her baby. Police arrived on scene and eventually placed Schleicher under arrest for driving under the influence. Schleicher, who has already been arrested 12 times on drunken driving charges, later lost custody rights to her 11 children after she was formally charged with drunk driving, child endangerment and failing to have a valid driver’s license. Prosecutors agreed to drop the child endangerment and driving without a license charges if she agreed to plead guilty to second-degree drunk driving, a deal that she accepted last week. She faced up to three and a half years in jail for the crime, but she only ended up receiving one year. Between that arrest and her court date, Schleicher was arrested in Riverside, a Chicago suburb, after police spotted her passed out in her car in a gas station with an open bottle of liquor next to her. 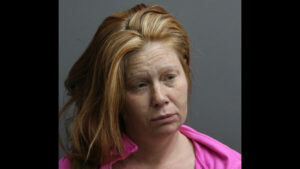 During that incident, police said she tried to fill her idling car with kerosene instead of gasoline. It was at that time that Riverside Police Chief Tom Weitzel called Schleicher “one of the worst DUI offenders in the United States.” She ended up receiving two years probation for that incident. Schleicher was probably due to spend some time behind bars, but at the same time, hopefully she can get access to the mental health resources she needs to get a grip on her addiction. Punishment alone is not going to solve the problem, she also needs help. She needs to get mental health counseling and work to overcome the addiction. If she doesn’t get the mental health care that she needs, she’s going to end up back in jail in the not so distant future. If you or someone you know needs legal help or wants to connect to an addiction specialist, please reach out to Avery and his team. We have connections in the industry and can help you get the help you deserve. Contact our office today at (952) 224-2277 for more information.